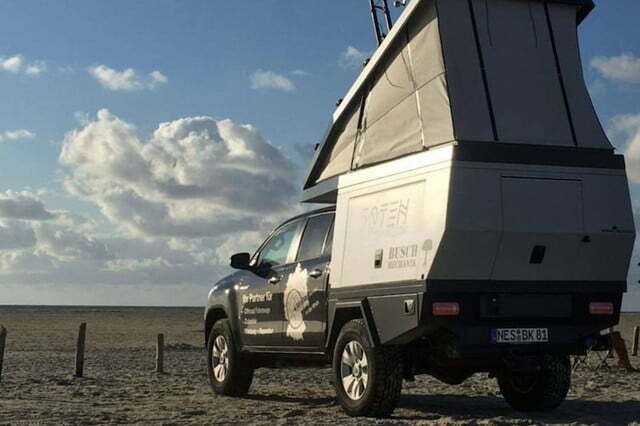 Overlanders and car campers looking for the ultimate mobile base camp for their outdoor adventures are going to want to take note of what a company called 50Ten created. 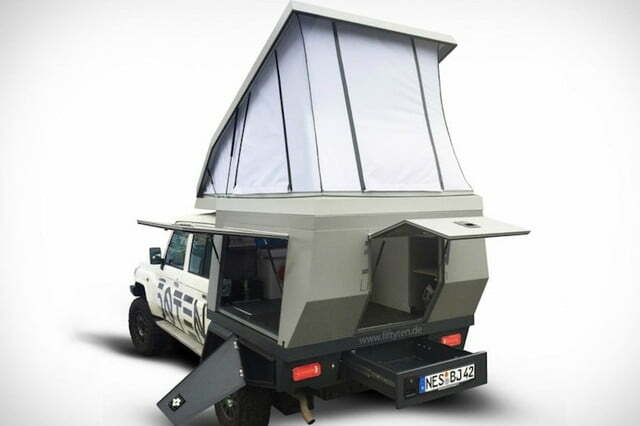 The pop-up camper manufacturer has developed a modular system that has been built to transform any pickup truck into a full-featured mobile home that can go just about anywhere. 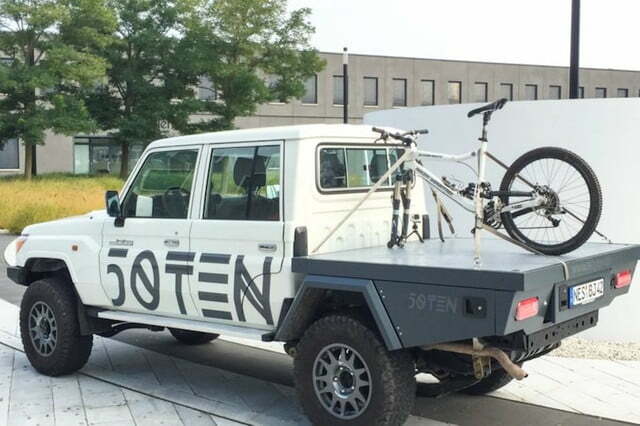 50Ten’s Adventure Vehicle System (AVS) consists of three individual parts which have been designed to seamlessly work with one another. Those parts include the Tray, Box, and Tent, each of which brings its own set of unique features to the table. For instance, the Tray replaces the standard box on a pickup truck and includes built-in storage options like drawers that slide out from the side and are both water and dustproof. Meanwhile, the Box serves as the core of the AVS, snapping into place over the Tray and providing a large interior space for storing larger pieces of gear. 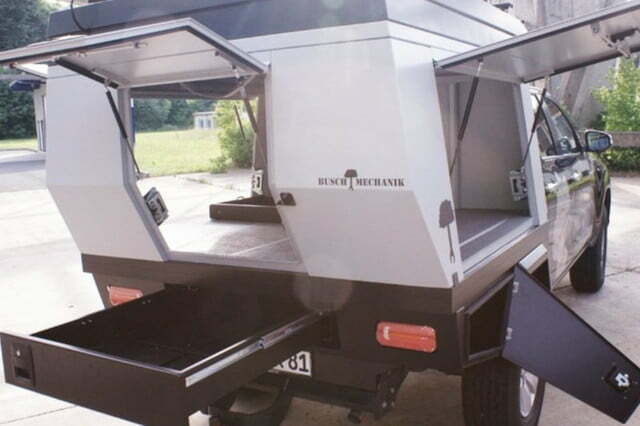 Side hatches make it easy to get to everything kept inside, camping equipment, clothing food, and other supplies. Finally, the Tent fits on top of the entire system, providing a rooftop pop-up sleep chamber complete with integrated mattress. 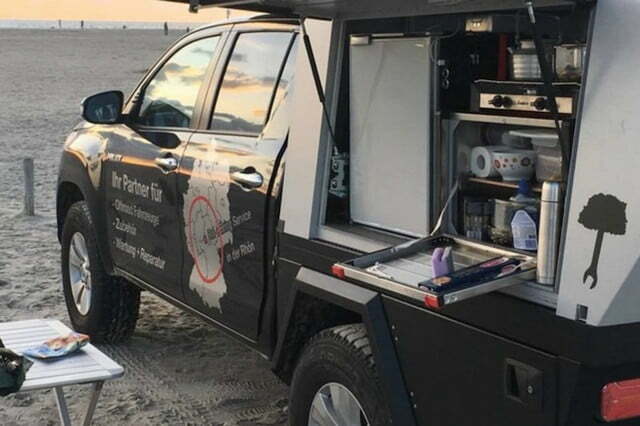 The idea behind the AVS is that the entire system can be added or removed from a truck very quickly, allowing users to only install the items they most need at any given time. The Tray generally stays permanently in place, providing the ability to haul equipment like a regular pickup with the added convenience of the integrated drawers. But if you’re heading out for an off-road adventure and need a bit of extra storage, the Box can be added for added versatility. The Tent can be quickly installed for overnight excursions that require comfortable sleeping quarters, too. Other optional features include a kitchen module and a water tank, both of which are designed to fit seamlessly inside the Box for easy access. A 12-volt battery provides power for recharging mobile devices and other electronic equipment, and owners can choose to add power inverters to add AC wall outlets to the interior as well. 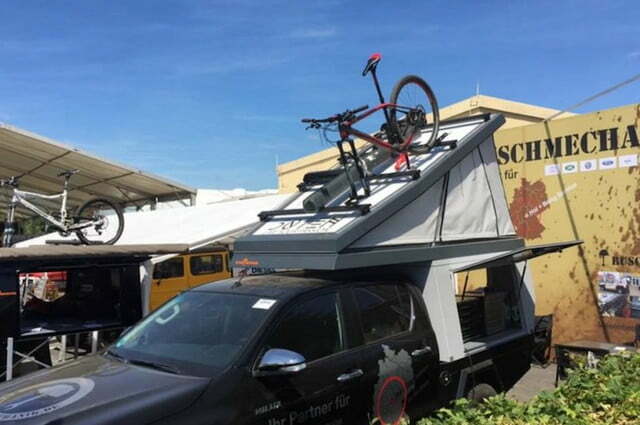 The top of the Tent can even support a rack system for holding mountain bikes or other gear. 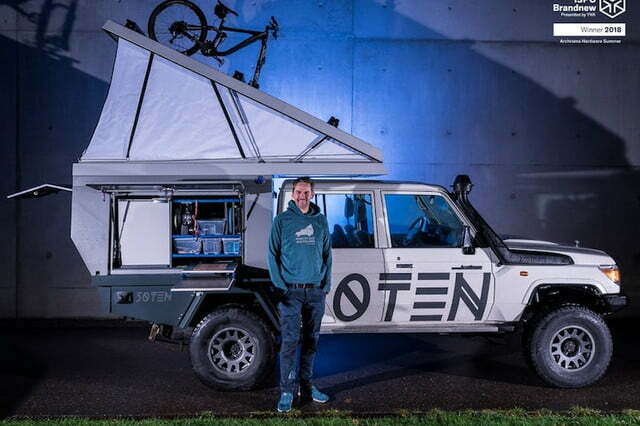 While the Adventure Vehicle System is innovative and well designed, it won’t come cheap. The entire system is priced at about $22,850. Each of the parts can be purchased individually as well, with the Tray selling for $6,795, while the Box and Tent run for $8,000 each. Find out more on the 50Ten website.